"I hope my pre-loved preggy blouse fits her." I checked on the name tags of all the new moms and moms-to-be sitting in front of us. "Where is Mommy E? I hope she's as big as me." I knew it was you. You were wearing a black dress which made your preggy glow even brighter. The dress securely hugged your 33-week baby bump and showed how proud you are of the angel inside your tummy. Your hair was neatly tied in a simple pony tail showing off that sunny disposition you have despite of your situation. And that smile. I will never forget the smile you gave us that afternoon. Sweet, happy and very honest smile. Can I share a secret? I was so excited to have that one-on-one moment with you that I was struggling to focus on what the speakers were saying that afternoon. I wanted to hear the woman behind the sad yet admirable story of strength and hope. The woman who braved Luzon (Manila and Palawan), Visayas (Cebu) and Mindanao (Davao) just to live by every single day. After all the painful and agonizing periods of your life, you are determined to keep your baby and raise her up all by yourself. I was happy to stand next to you when we lined up at the buffet table. Our short introductions surprisingly led to you opening up and baring your inner soul to a total stranger. I hurriedly ate the afternoon snacks to continue our aborted chat on the buffet table line. "Ate, gagawan mo ba ako ng case study?" was your quick question just when I was about to start our conversation. "Hindi" was my quick answer. I just want to listen and hear your thoughts Mommy E. I wanted to be different from the others who came to this temporary shelter to interview you for a case study or school project. I wanted to hear your plans and be a friend. 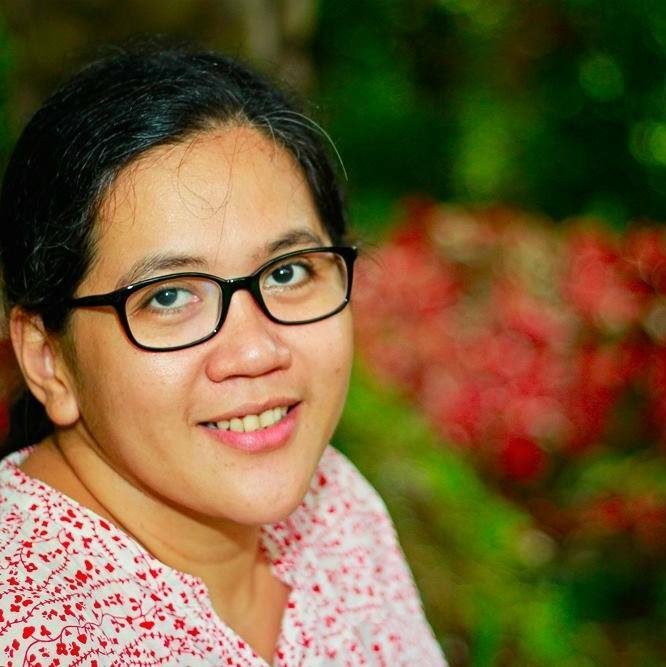 "I-keep ko siya, Ate," was your answer when I asked you about your plans after giving birth. You were very sure, not a slightest trace of doubt can be heard from your crackling voice. You will let your baby stay in foster care for a few months while you look for work. You will get her back after three months and raise her alone with all your love and care. All I wanted to know were your plans Mommy E but you gave me so much more. You showed me how powerful a mother's love can be. It may not erase painful memories but it can give you strength to overcome pain and sufferings to rebuild your life. Lastly, thanks for trusting me with your story. I will always remember that humid sunny afternoon I spent in Nazareth Homes with fellow mommy bloggers. It was the day I met Mommy E who showed how selfless and powerful a mother's love is. I promise to come back and visit you Mommy E. I'm so excited to hold Baby Girl E in my arms. I am very sure that I will find the cutest baby dress that will perfectly fit your princess. See you soon Mommy and Baby Girl E! I Love Being A Mom (IBM2014) is a project conceptualized and organized by mommy blogger and mompreneur Jennifer Lopez-Gana. 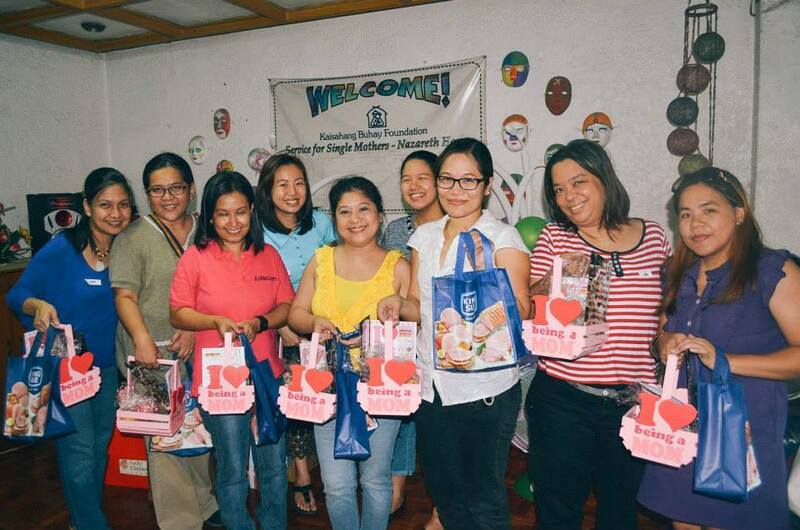 Mommy Jen gave mommy bloggers a meaningful event to celebrate Mother's Day with single mothers who are in the care of Kaisahang Buhay Foundation (KBF). KBF is a non-government organization that operates a temporary shelter (Nazareth Home) for expectant single mothers. Besides shelther, KBF provides for the medical, counselling and spiritual needs of the expectant single mothers. 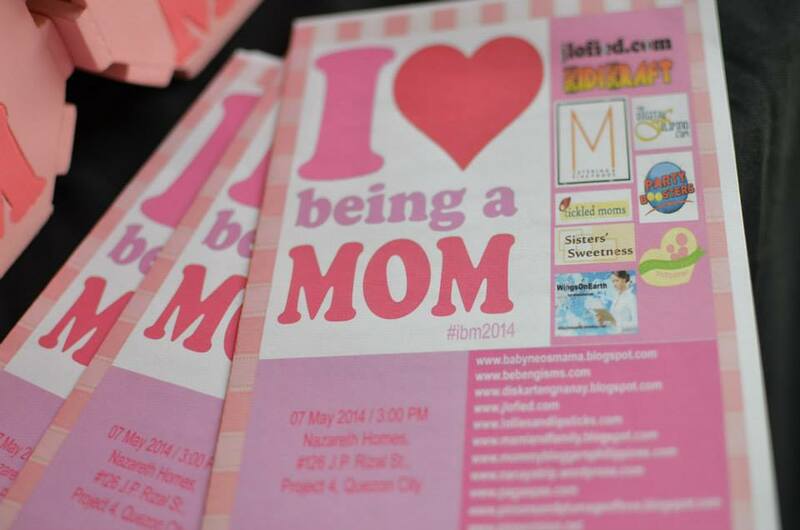 Thanks to Mommy Jen for organizing this meaningful event and to the wonderful sponsors who made IBM 2014 successful. What's up it's me, I am also visiting this web site regularly, this web site is truly nice and the viewers are truly sharing pleasant thoughts.